Two foods that pair better than an alliteration: bourbon and bacon. 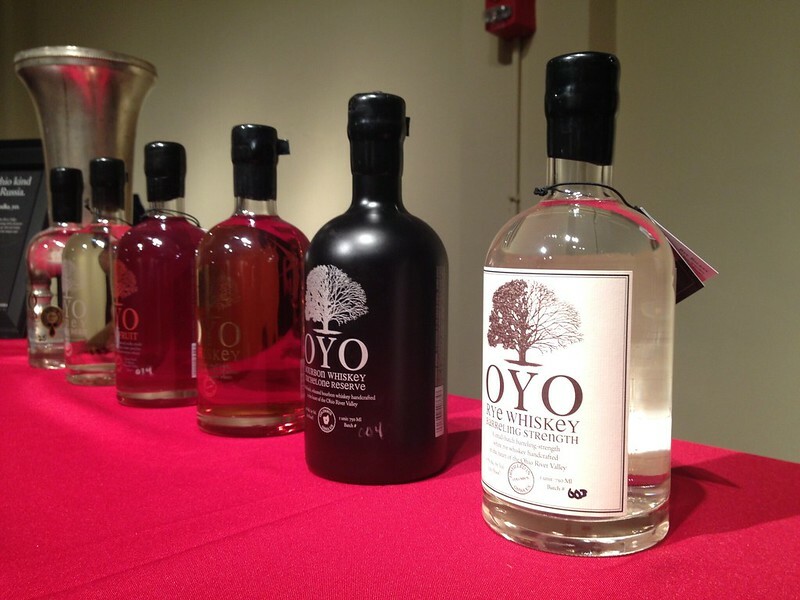 Thanks to CityBeat, locals were about to get a taste of of the region's signature liquor and the nation's favorite salty snack. 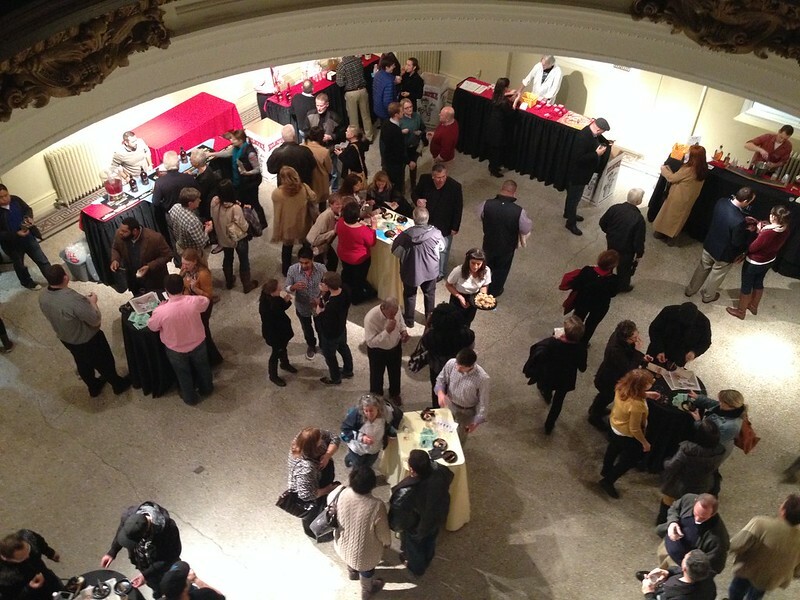 Hundreds piled into The Carnegie to be a part of this delectable event. 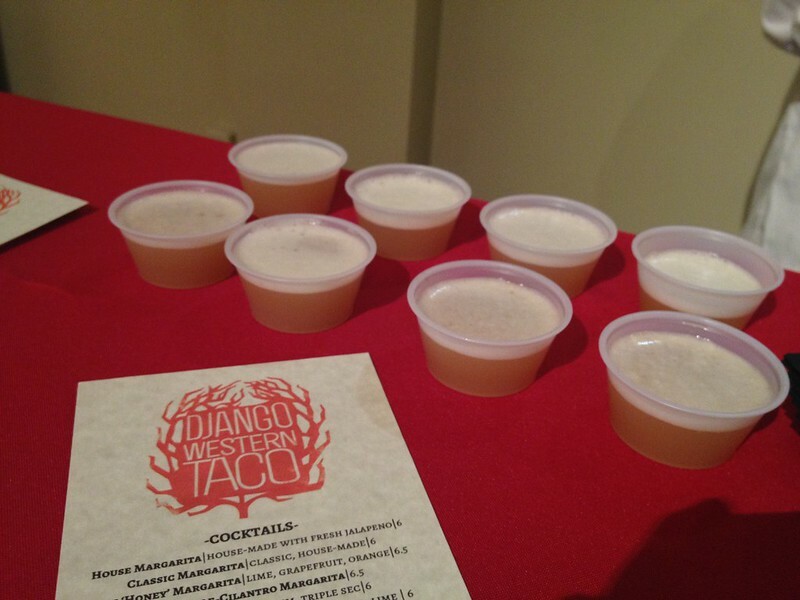 Django Western Taco served my favorite drink of the evening: a bourbon cocktail with sweet notes of honey that was refreshing and warmed the spirit. 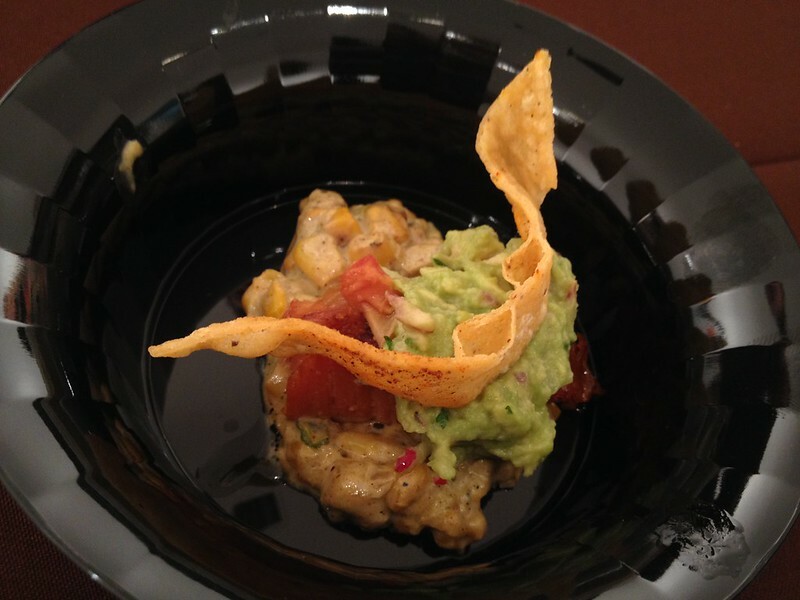 Located in the Northside Taco District, Django was also dishing out bites to eat: braised pork belly with zesty poblano corn, topped with guacamole garnished with a fried tortilla chip. 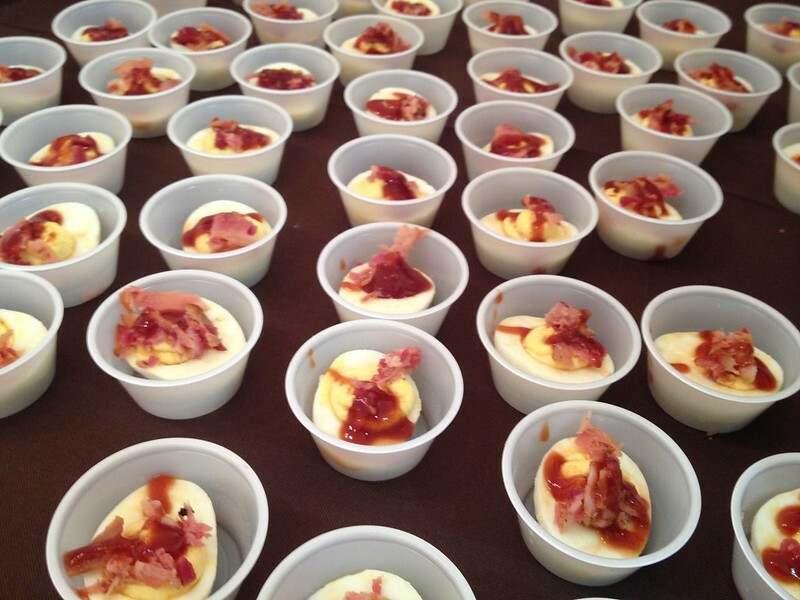 My favorite dish of the night was possibly the most simple: a deviled egg topped with bacon and bourbon glaze from Chappy's Bourbon Bar, a new restaurant in Old Milford. 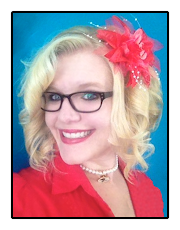 Chappy's opens with their full menu on January 1, 2014. If their deviled egg is any indicator, their menu is well-worth the drive. 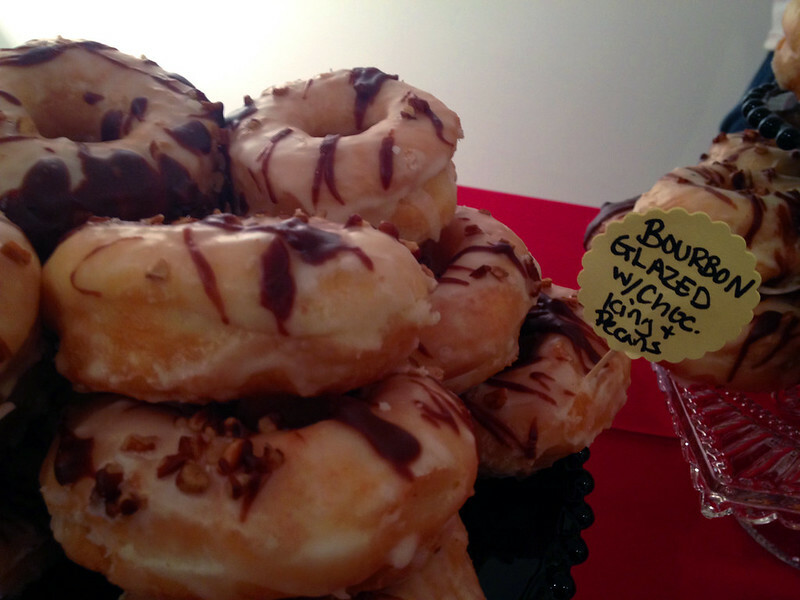 Closer to home, Over-the-Rhine eateries Holtman's Donuts and Grandma Debbie's Kitchen cooked up more treats worth bragging about. 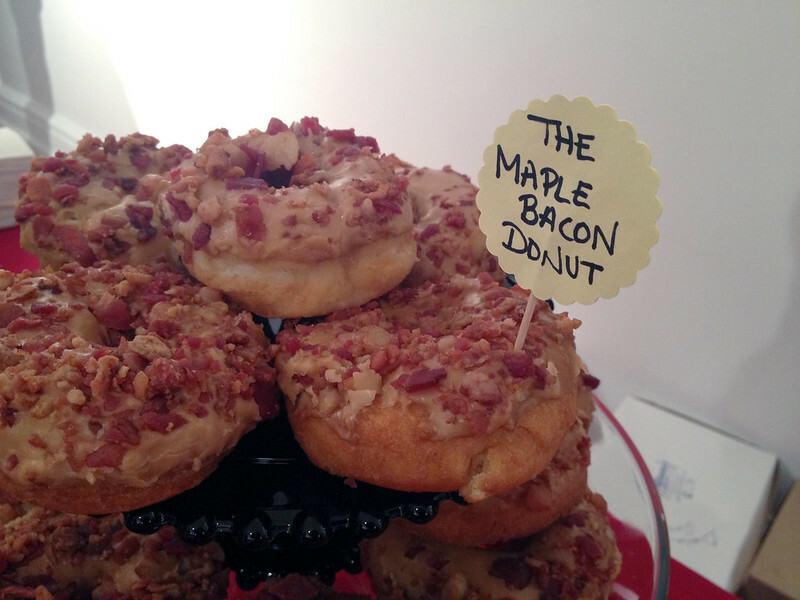 Naturally, Holtman's brought their famous Maple Bacon Donut, but also showcased a Bourbon Glazed Donut which is soft, flavorful, and only available at the event. Grandma Debbie whipped up her seasonal Bourbon Baked Beans with Bacon, doing double duty with one dish. Available at her shop in Findlay Market for the holidays, this side dish will leave your loved ones drooling for seconds. 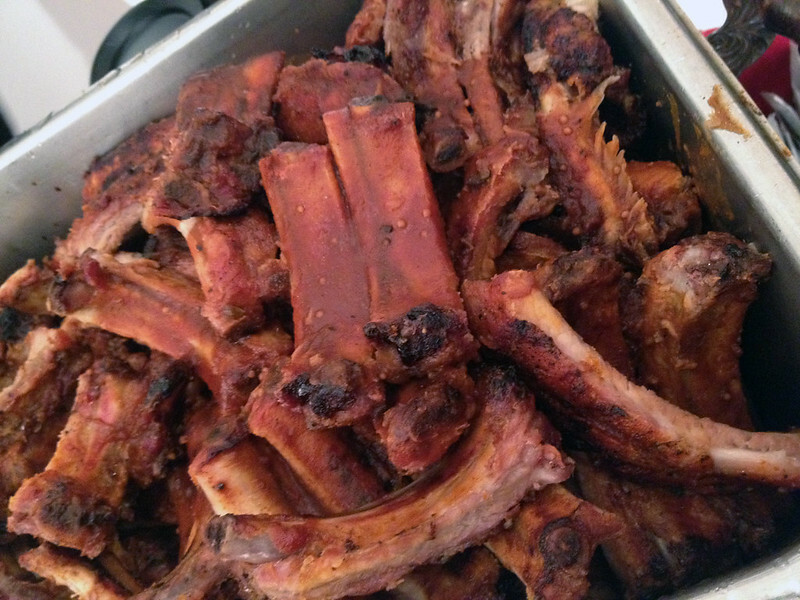 Two kinds of ribs were served: Memphis style prepared by Walt's Hitching Post and Kansas City style prepared by City Barbeque. The difference is in the way the meat is cooked: Memphis is seasoned with a dry rub and is more about the flavor of the meat than in the sauce. 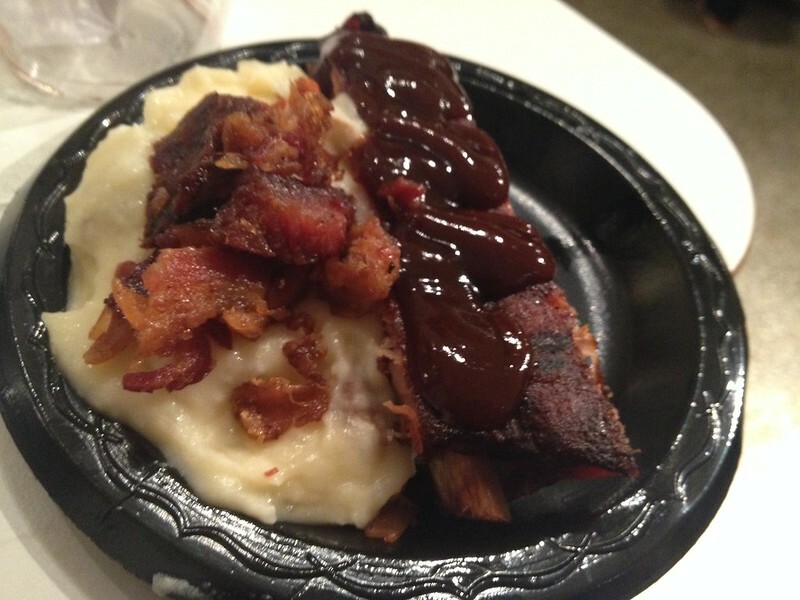 Kansas City is fall-off-the-bone tender doused in BBQ. 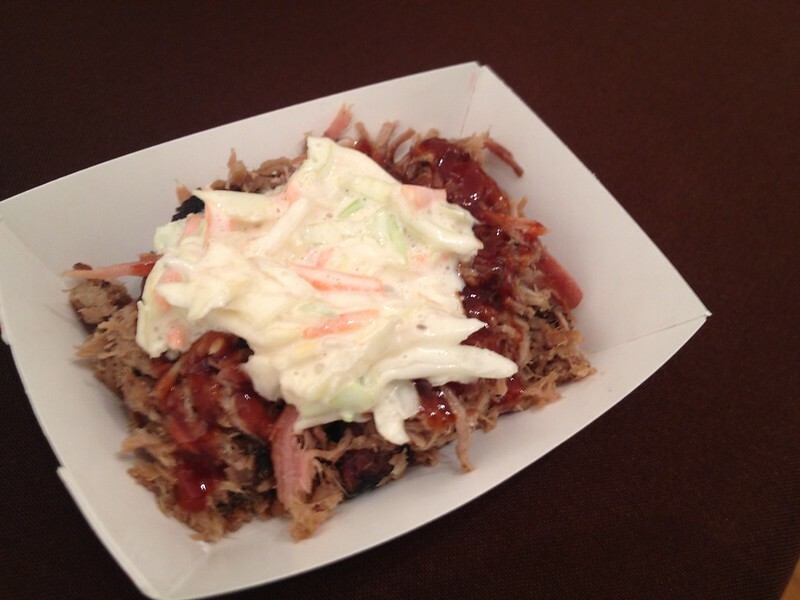 Then there were Eli's BBQ samples of pulled pork with BBQ sauce topped with coleslaw. I'm big on sauce, so latter two were my favorites. 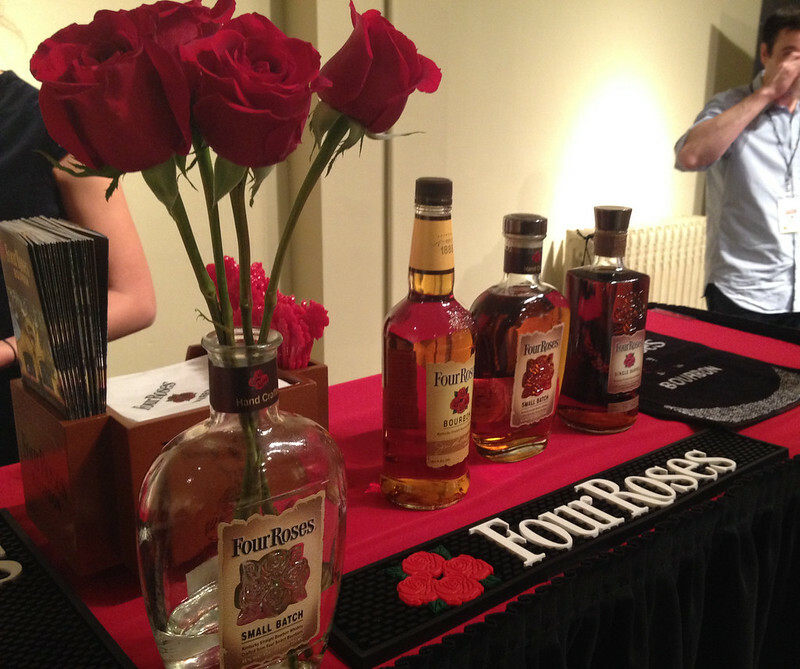 Back to the bourbons, the selection featured a mix of well-known names and craft distillers. 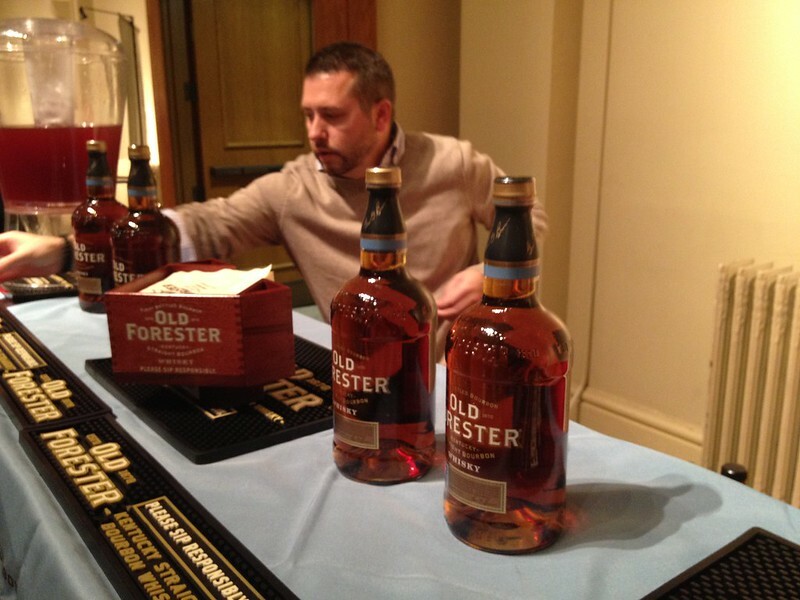 Maker's Mark, Old Forrester, OYO, and Four Roses poured samples of their top shelf bottles. 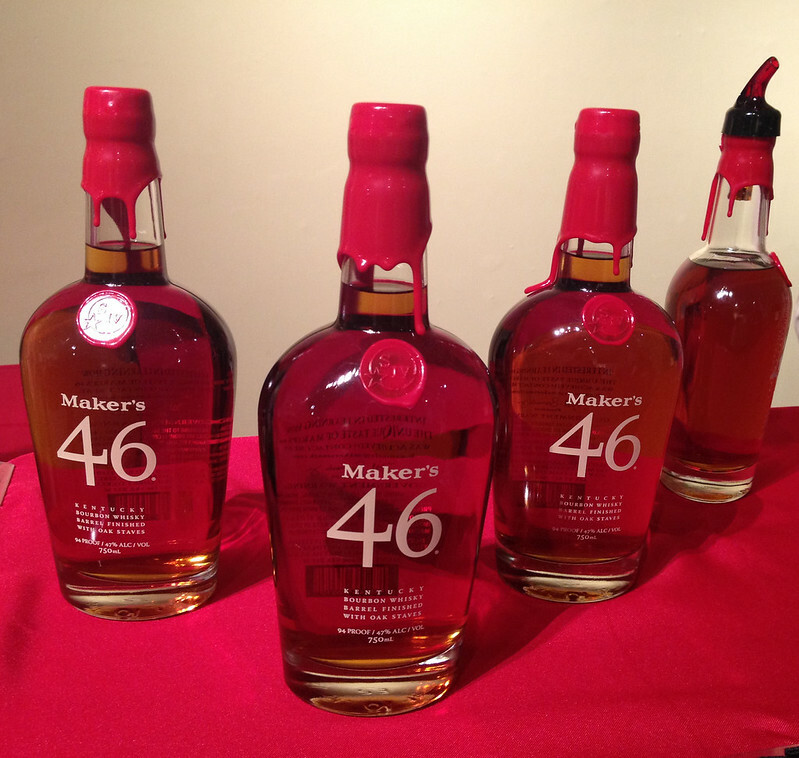 Maker's shared their newer bourbon, Maker's 46, which is a slight twist on their traditional label with more noticeable cinnamon and warmer notes. 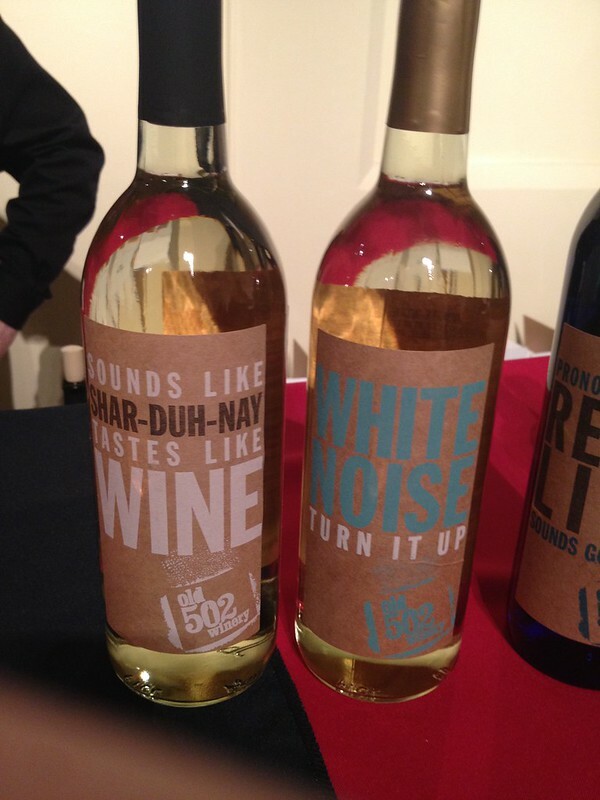 Then there was Pogue Bourbon, which made me excited to try a brand with a name akin to a punk rock band. How was it? More like Pogue-My-God. My lips burned, my mouth burned. Everything burned! At first I thought it was due to my novice approach to bourbon, but my connoisseur friend took a sip and commented that his 5:00 shadow instantly grew to a 5:45. 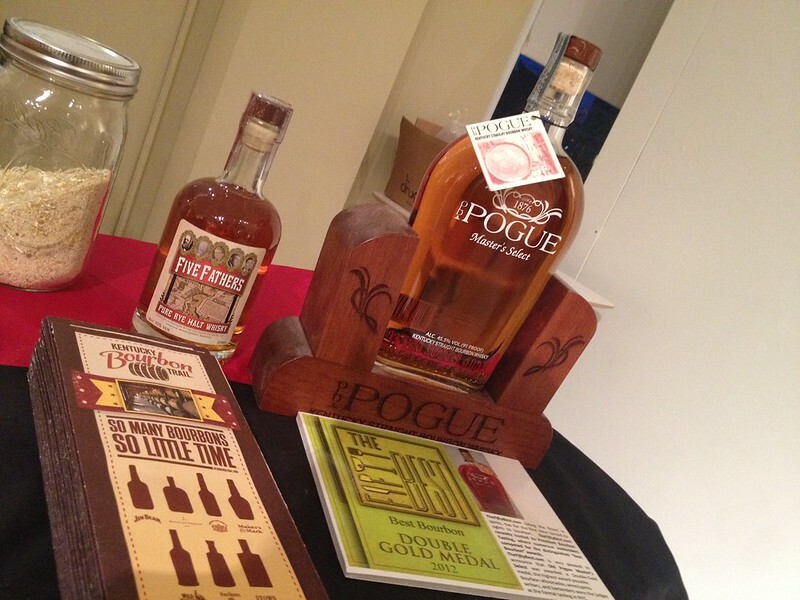 If you like a strong bourbon that puts hair on your chest, Pogue is the way to go. 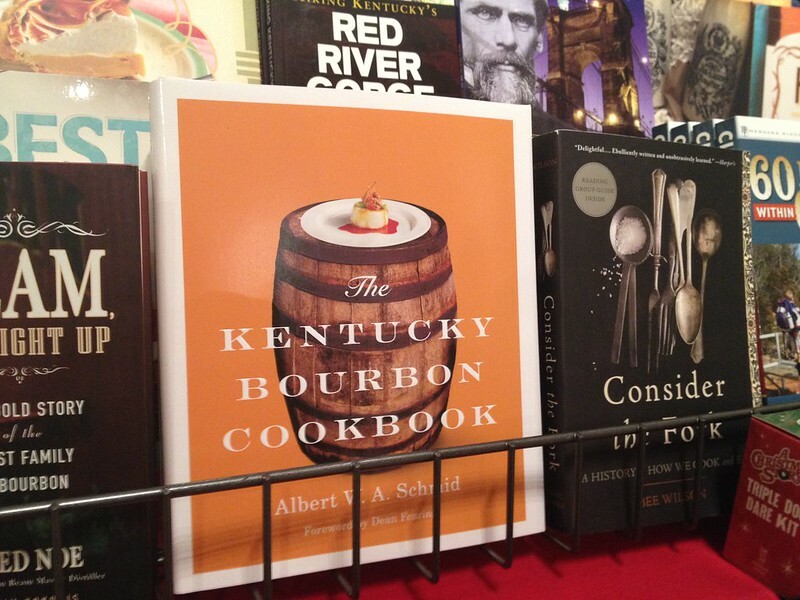 In a unique twist, Roebling Point Bookstore had many Kentucky cooking and bourbon books for sale. 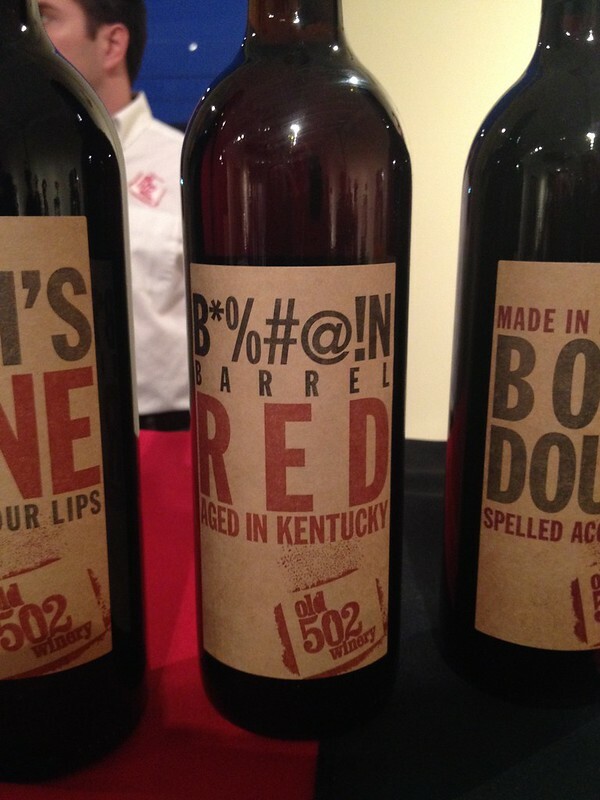 Old 502 Winery also put a clever perspective on bourbon with its Bourbon Barrel Red, a blend of red wines aged in a bourbon barrel for an added oak flavor. This was a pleasant surprise, along with sampling their other varieties such as the chocolate wine, and four blends of whites. 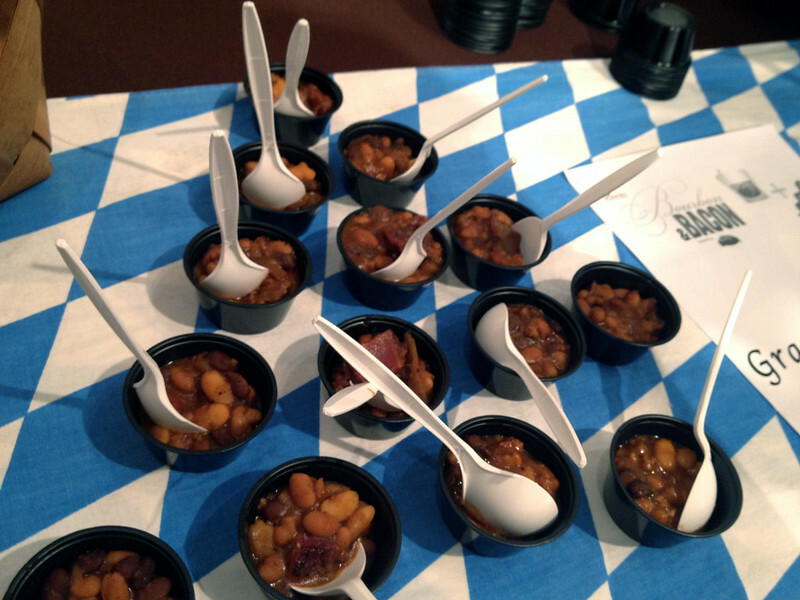 With full stomachs and warmed spirits, CityBeat's Bourbon & Bacon event was a smashing success!